Happy Easter, to those of the religious persuasion amongst you! Today, I’m cheating a bit. Rather than patronising a coffee shop I’m enjoying my caffeine fix at beautiful Eshott Hall in Northumberland. It’s full of cosy charm and faded grandeur, surrounded by trees and pretty parkland. We’re here for a weekend getaway to celebrate Mr Ross’s birthday and it’s a lovely retreat. The village of Eshott could also provide a bit of inspiration for future works, given my predilection for small, close-knit village scenes which mask a seething underbelly of crime. 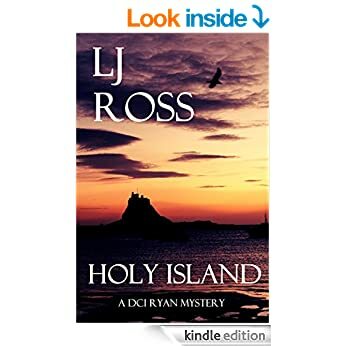 As on Holy Island, all is serene and quiet, but I find myself wondering: what lies hidden? It’s funny, isn’t it, how appearances can be deceptive. For example, I was sitting reading a book by Rachel Abbot earlier in the day (Sleep Tight, it was called, and very engaging it was too) while an old couple sat nearby. At first glance, I thought they looked harmless and kind, like the perfect grandparents. Only after they had spent forty-five minutes bitching about their schadenfreude Doreen (“with the sizeable arse”), their daughter-in-law Mary (“who can’t cook for toffee”) and generally slated all those of their intimate acquaintance was I forced to admit that my initial assessment had clearly been way off base! We’re all guilty of making value judgements, though. The kind of flash opinions based on another person’s looks, clothing, social status and, for some, the colour of their skin. It’s a tendency which has long tentacles. What about in the work place? Or, in the destruction of families or friendships? It’s food for thought.